An Ismaili Identity I wear this necklace very often. It symbolizes the diversity of Ismailis around the world. Like the multifaceted quartz crystal on the left, Ismailis are like one unit with many faces. 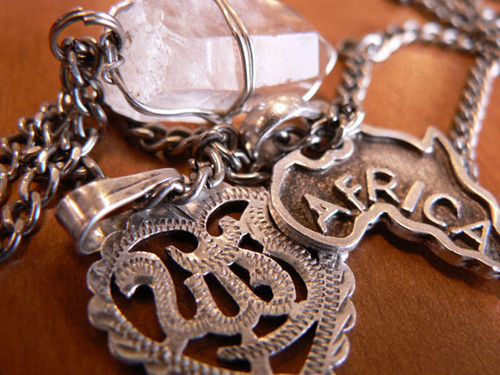 Our commonality in religion is represented in the Allah pendant, while our cultural and geographic differences can be represented in the Africa pendant, a symbol of my own family’s unique cultural heritage.